I’ve had a very pampered childhood and a downside of that has been that it was easy for me to be finicky about food because of which I missed out on so many amazing flavours! One of them being Sabudana Khichdi or tapioca sago seeds khichdi. 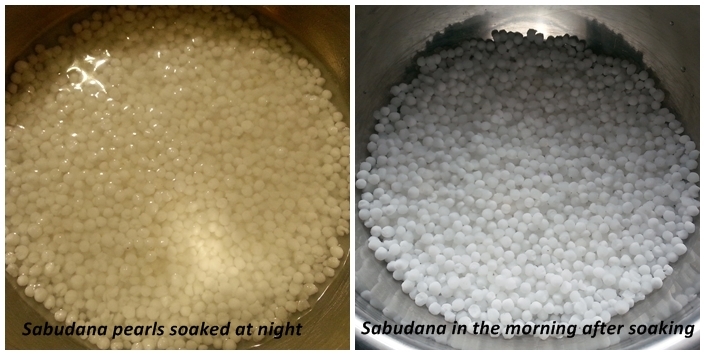 These small white tapioca pearls were always a mystery to me when I went to the grocery shop until I ate sabudana khichdi at my sister-in-law’s place for the first time and just loved them! 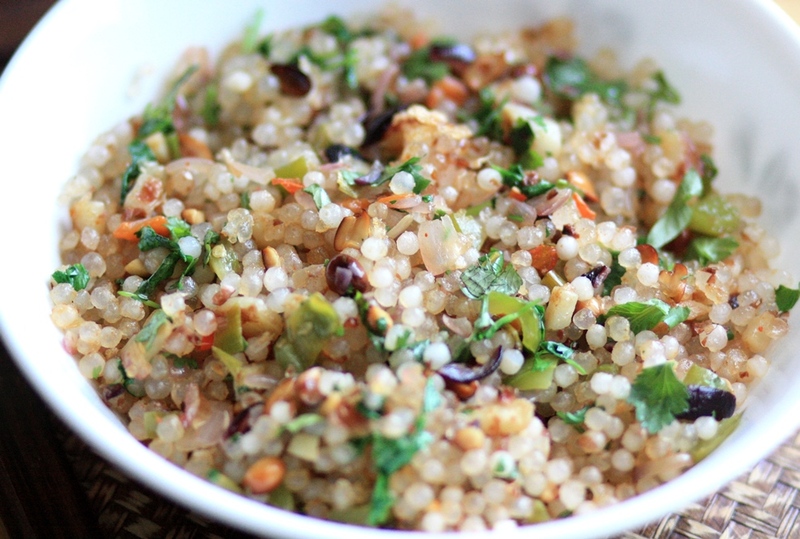 In India, Sabudana khichdi is usually made during fasting days. Sago seeds are high in nutrition and considered good for infants, sick people and during the fasts. But I love this tapioca pearl recipe so much that I can’t wait to make it for breakfast almost every week! For the fasting days, it is prepared without onions. And I did just that and had beautiful pearly khichdi for breakfast today! Shallow fry the peanuts. Remove from oil and crush them into small pieces using a mortar-pestle. In the same oil, add mustard seeds, curry leaves and green chillies. Sauté for a few seconds and then add carrots and potatoes. Depending on the vegetables you have chosen, add the ones that take the longest to soften first. Onion and capsicum take very little time to cook as compared to carrots and potatoes. Once the potatoes are soft add onions and capsicum. Sauté for 2 mins. Now add salt, coriander powder, chilli powder, sugar and lemon juice. Mix well and cook for another couple of minutes. Finely add sabudana and crushed peanuts. Cook on medium heat for 5-10 minutes till the sabo pearls turn transparent. Remove from heat and sprinkle some fresh coriander for garnish. 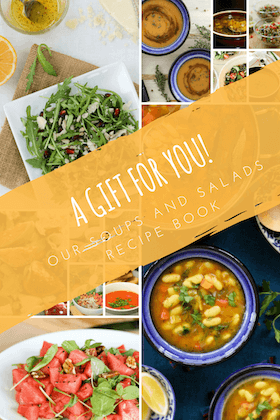 Your recipes are so mouth watering.. currently I am travelling but I am soon going to make your mango and basil summer salad to counter the heat!